Estée Lauder Companies Review: Simply Esteemed! Home | Cosmetics | Estée Lauder Companies Review: Simply Esteemed! Over the last century, women have been the primary target of the personal care products industry, but not the driving force behind it. For one reason or another, when looking at the history of companies like Olay, Neutrogena, L’Oréal, and Nivea, you’ll note that the heads of these companies and the originators of top beauty brands have been predominantly male. The irony in this is not lost on most. Personal care products companies market their products to women, but have been led by men who are expected to dictate the way women care for themselves. Thankfully, there has been an increasing amount of diversity displayed by these companies on the executive and management levels – 2016 is a progressive time. However, there is one personal care company that did not need to wait around for new age progressivism in order to install a woman at the top of the company. That’s because there was one woman took matters into her own hands and carried a beauty company to the top of the industry on the back of her sheer determination. Her name was Estée Lauder. Born Josephine Esther Mentzer, Estée Lauder was the co-founder (along with her husband, Joseph Lauter) of Estée Lauder Companies. A manufacturer of skincare, makeup, fragrances, and hair care products, Estée Lauder Co. is one of the leaders of the personal care industry – a titan of a company that boasts over $10 billion in annual sales. Estée Lauder Companies boasts brands such as Clinique, La Mer, Aveda, and Origins and has been a leading innovator in personal care ever since the company was founded in 1946. How did this incredible company come to be? How did Estée Lauder do what no woman had done before in starting her own personal care empire? What kind of products are counted among Estée Lauder Companies’ best? We’ll answer all of these questions and more here in our Estée Lauder Companies Review! Born in Corona, Queens in 1908, Estée Lauder showed an interest in entrepreneurship and cosmetics from a young age. After taking an active role in growing her father’s hardware store, Lauder began helping her uncle with his company, New Way Laboratories, which produced and sold various cosmetics products for sale on a small scale. Through this experience, Lauder learned about the creation of cosmetics and personal care products as well as how to market them. Gradually helping her uncle to expand his business, Lauder sold cosmetics products to various beauty salons and resorts before eventually starting her own company in 1946. Together with her husband Joseph Lauder, Lauder founded Estée Lauder Companies in the heart of New York City. 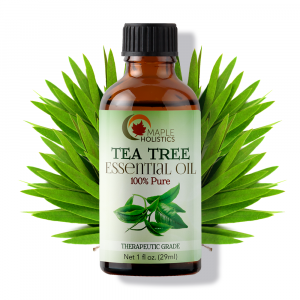 The company initially launched with four products; Cleansing Oil, Skin Lotion, Super Rich All purpose Creme, and Creme Pack. Lauder headed the product development and marketing efforts while her husband handled the finances and logistics of the operation. Lauder’s products and marketing efforts were successful thanks in large part to her ability to relate to female customers and sell them personal care products in a personable way. As this operation grew, this tone of marketing was still felt in advertisements of all kinds due to Lauder’s influence and control. The company got its first big break in 1948 when it landed a department store account with Saks Fifth Avenue. 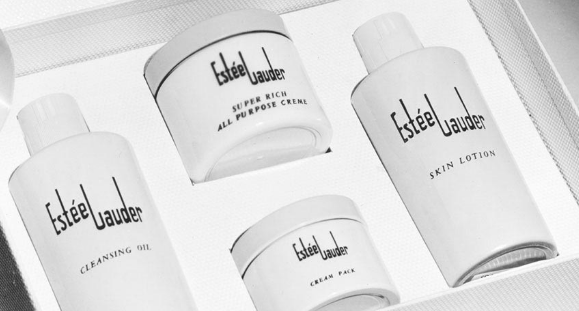 Estée Lauder Companies experienced gradual, steady growth until it hit a landmark decade for the company, the 60’s. In 1960, the company went international, and in 1967 Lauder was honored as one of ten Outstanding American Women in Business. In 1968, the company made its first major expansion, opening Clinique Laboratories, Inc.
A health conscious, dermatology-influenced line of cosmetics, Clinique was revolutionary in two ways. One, in its allergy tested, fragrance free formulations, and two, in that it became the first women’s cosmetics company to introduce a men’s line. In the 1980’s, Estée Lauder Companies eclipsed $1 billion in annual sales for the first time. This time period also saw Lauder herself added to the Wall Street Journal’s list of the top business influencers of the century, placing her among the likes of Carnegie, Rockefeller, Ford, and Disney. The company issued an IPO in the 1990’s, representing another landmark event, and brand acquisitions and an online launch helped make the 90’s an even more transformative time for the company. All along the way, Estée Lauder Companies added to its catalogue of products, introducing new, popular products for hair, skin, and more and building a reputation as a purveyor of high-quality products. 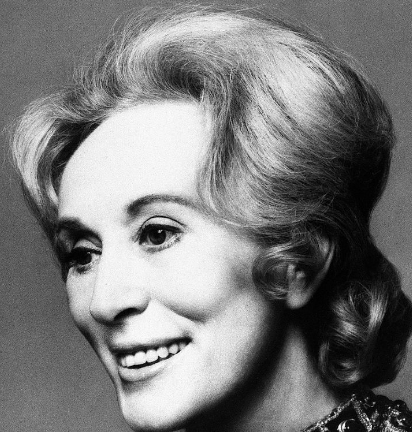 After leading a legendary life and career, Estée Lauder passed away in 2004. Having successfully changed the cosmetics and personal care products industry, Lauder leaves behind a legacy of greatness. One of the most successful entrepreneurs of any gender, Lauder was successful thanks in large part to the fact that she was a woman operating a company that made products for women. She understood the needs, wants, and fears of the average woman and acted accordingly, taking Estée Lauder Companies to the top along the way. The company continues to grow as it operates in the same vein as Estée Lauder herself did – with boldness, confidence, and a knack for giving the people what they want. Skincare: Repair Serum, Eye Care, Moisturizer, BB Creme, Face Oil, Targeted Treatment, Cleanser/Toner, Mask/Exfoliator. Makeup: Foundation, Contouring, BB Creme, Primer, Concealer, Blush, Bronzer, Powder, Compact, Eyeshadow, Mascara, Contouring, Eyeliner, Brows, Lipstick, Lip Gloss, Lip Pencil, Nail Lacquer, Brushes. Fragrances: Modern Muse, Beautiful, Pleasures, Bronze Goddess, Sensuous, Aerin Lauder’s Private Collection, Knowing, Youth-Dew, White Linen, Private Collection, The House of Estée Lauder, Mystique. As is the case with all brands and companies, Estée Lauder features some select products that are more critically acclaimed and celebrated than others. These are the kinds of products we will be highlighting below – the best in Estée Lauder, for the sake of delivering the best to you – the readers! Estée Lauder double wear foundation. Foundation is an essential and a fixture in the makeup kits of most women. Unfortunately, most foundation manufacturers struggle to provide a well-rounded foundation experience. Estée Lauder, however, does not. 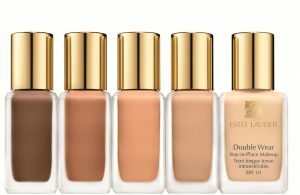 Double Wear Foundation from Estée Lauder is the most popular foundation available today, which comes as no surprise to those who have had the pleasure of using it. Some foundations feature long-lasting effects, and some feature good coverage, but rarely do you find a foundation that offers both effectively. Estée Lauder Double Wear Foundation does, featuring 15-hours of coverage in Light-Medium, Medium, and Medium-Deep coverages in 38 different skin tones. If there’s one Estée Lauder product that could be classified as a must-own, this is the one. When Estée Lauder first started out in manufacturing personal care products, perfume wasn’t on the docket. However, with gradual expansion, Estée Lauder made its way to perfume – and we should all be thankful that it did. 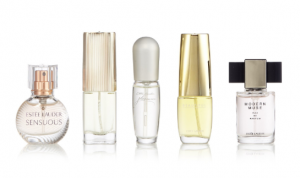 Featuring a variety of scents for different occasions, purposes, and uses, Estée Lauder is now viewed as a leading perfume manufacturer in the world, as their perfume is known for its inventive formulas and long-lasting effects. Among their most popular formulas are Beautiful by Estée Lauder, Young Dew by Estée Lauder, Sensuous by Estée Lauder, Pleasures Intense by Estée Lauder, and White Linen by Estée Lauder. Estée Lauder advanced night repair. 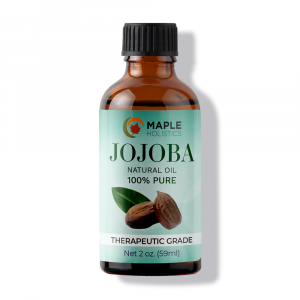 We’ve covered anti-aging products in the past here at Maple Holistics, most recently in our Jeunesse Global Products Review. 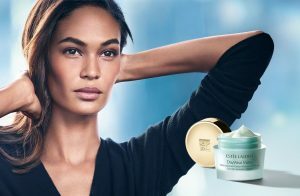 Estée Lauder offers a number of products designed to combat the effects of aging as well, with Advanced Night Repair leading the way. 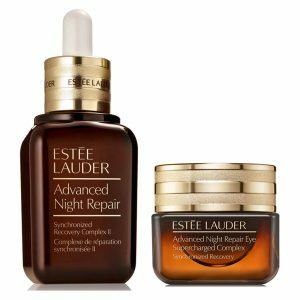 A synchronized recovery complex, Estée Lauder Advanced Night Repair reduces facial lines, wrinkles, and aging spots, working to brighten skin and provide a more youthful and vibrant complexion. 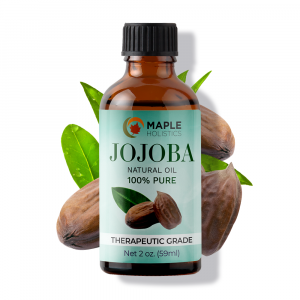 The formula is intended to be applied after cleaning the skin and before moisturizing in order to achieve the most optimal results. Another vital component of cosmetics, it seems as though all women use some form of mascara in their day-to-day routines. Offering volume that is both bold and weightless, Estée Lauder has once again achieved a rare combination of effects that moves its product to the top of its category. Rarely do you find a mascara that offers such striking volume or such a persistent hold – to get both in one package is truly remarkable. Give Estée Lauder Bold Volume Lifting Mascara a try and you might find that you’ve found yourself a new daily mascara. Another anti-aging product, Estée Lauder Eye Cream is used to restore brightness to eyes that feature wrinkles, crows feet, dullness, and a lack of vibrancy. 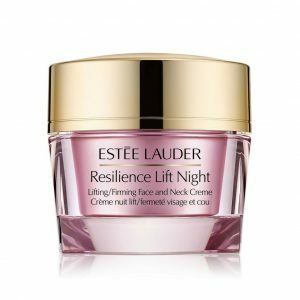 Using a patented revitalizing formula, Estée Lauder Resilience Lift Sculpting Eye Cream repairs past visible damage around the eyes in a dermatologist-tested package. Fatigue and aging are known for hitting the eyes hard, reducing liveliness and causing sag and other signs of aging. The kind of effect that Estée Lauder Eye Cream can have on enhancing an entire look cannot be understated – this is a product that is well worth a try! For more on great beauty brands like Lush or Urban Decay, check out the rest of our blog section here at Maple Holistics! Estée Lauder was a lot of things, but above all else she was a woman who was ahead of her time. A leader and an innovator in an industry made for women but often dictated by men, Lauder revolutionized the personal care products industry by interjecting her own brand of boldness into her iconic company. Estée Lauder Companies is now one of the leading personal care and cosmetics manufacturers in the world – the company continues to do its founder proud.